Of course starts with a pencil sketch, then outlining with a light color, filling in large areas, then adding the little details! I always tell my student about my first grader who painted snowflakes and then painted the sky around the snowflakes rather than putting down the sky color first and the snowflakes on top of them! 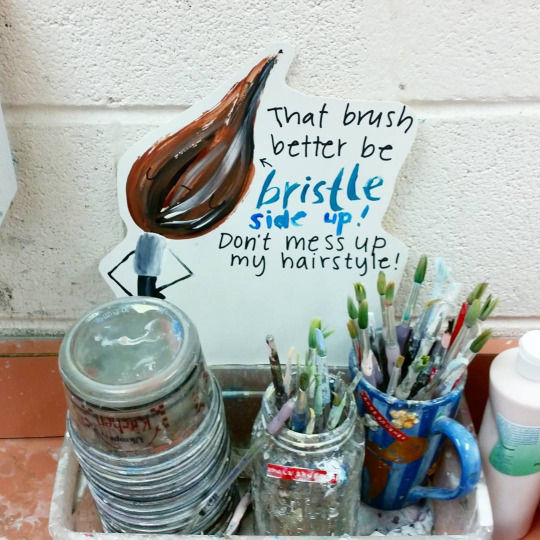 Put your brushes back correctly!